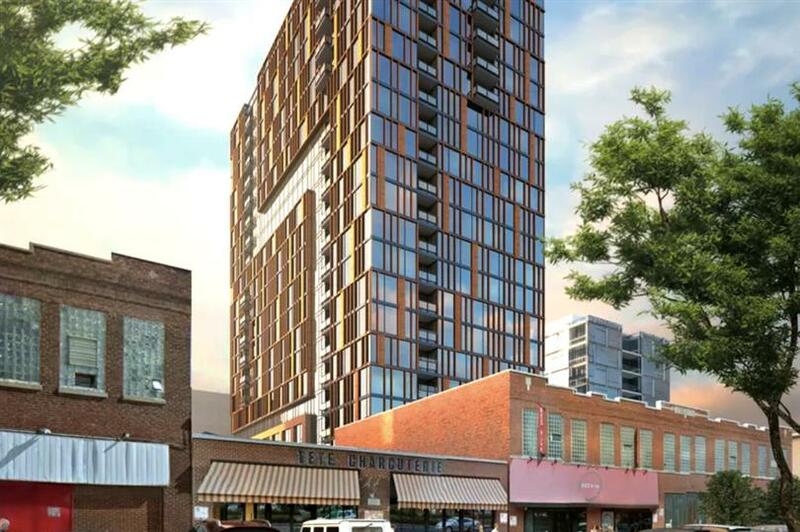 Developers are proposing a new, 20-story tower for the West Loop's red hot Fulton Market District. MCZ Development has proposed a 236-unit apartment building for 166 N. Aberdeen, the corner of Aberdeen and May, former site of Fabbri Sausage. The building, designed by Chicago-based Solomon Cordwell Buenz (SCB) would be constructed of brick masonry at the base to blend into the site and transition to glass and clay-colored metal panels above. It would also include amenities like a communal "sky lounge" for residents in addition to the usual amenities expected for these new and upscale developments. Read more at Curbed Chicago here.